"I never owned a VW or thought of owning one until my Son came of age and I needed to find him some cheap transportation and as I thought about it I remembered this junk old VW in the driveway of this old mans home that I passed by everyday on my way to work. I stopped by and inquired about the car and as it turned out all it needed was a new battery and some new tires and a little love so I bought it for $500 and we started from there. The car was Originally Blue and someone put a cheap white paint over that and it was rusting all over the place and as time went by I spent more and more money on the little car,Rims,Stereo,Carpet kit,Glass and one day I thought of painting some Red and Blue stripes and the Herbie 53 gumballs so I got some masking tape and I made a stencil for the gumballs,Stripes and painted it and darn if it didn't look kinda nice. Well let me tell you I never expected people to go nuts over this junk VW but they did,They would ask if I could pull over so their kids could get pictures taken with the car,People left notes on the car saying how much they love Herbie,Muscle car's would want to race it was insane! and it wasn't even the right year VW or a Ragtop! soooo I thought what if I did it right? 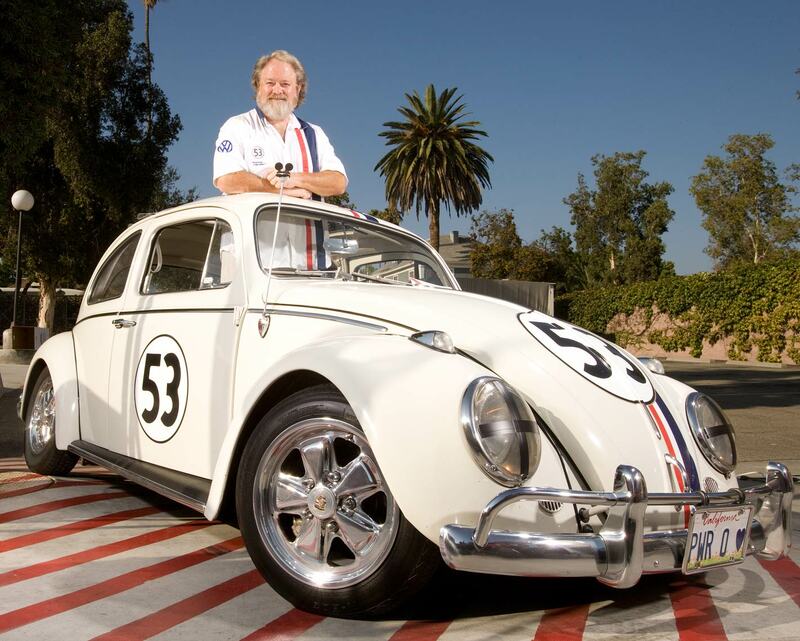 and I went out and bought a good 1963 ragtop for 2,700 and my dream of a real Herbie took off from there. From the ground up I chased parts, Motor, trans, rims,paint deals,interior deals,nobs for the dash and Stock Radio and I am still improving the car after nine years and I thought I put a lot of Love in the last Herbie! People Love this little car and after being on the Red Carpet at the Herbie Fully Loaded Premiere, being used by Make a Wish, Toy's for Tot's, several Children's Hospitals, Monster Jam and all kinds of Police and fire of Charity Events I Have to think that The Love Bug was the right title for this little car." - Jerry C.